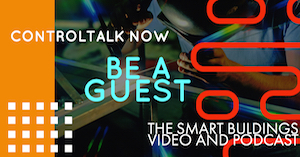 This week’s ControlTalk NOW reviews the CABA and Belimo webinars, interview with Lynxspring’s Bob Mealy, DOE’s July updates, Honeywell’s new WEBs-AX checker, more on robotic technology, and features special guests, Rob Allen, Stromquist; Rick Werner, OME Facility Solutions; and Mike Yanosko, CTO Smart Building Works. 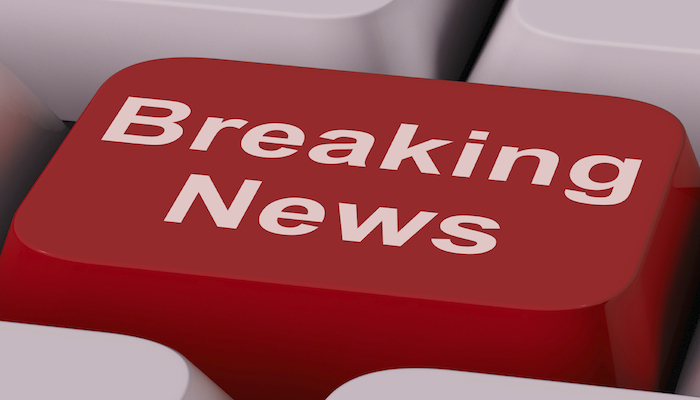 ControlTrends is delighted to announce that 2014 ControlTrends Awards will be held Monday evening, January 26, 2015, from 6:00PM to 8:00PM at the Hyatt Regency McCormick Place Convention Center. Last Chance to Register For CABA OnLine Event Today! The CABA Intelligent & Integrated Buildings Council (IIBC) and BSRIA would like to invite you to the Webinar on the “Market Sizing for North America: Intelligent and Integrated Buildings v2” Research Project. Come learn how your organization can become involved in helping to shape the focus and scope of this important and timely research. This will be a high level presentation on this upcoming research project, and there are still opportunities to sponsor this research. 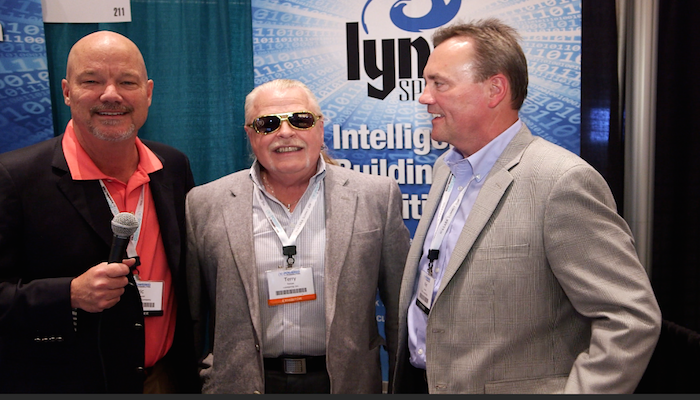 Fun With Lynxspring at IBCON 2014 ControlTrends got a chance to catch up with Bob Mealey at IBCON. Bob is the Chief Operating Officer at Lynxspring. Bob, enlightened us on Lynxspring’s, CyberPro, an effective approach to handling the Cyber security problems that are affecting building owners. Lynxspring changed the way control systems are built, secured and distributed. 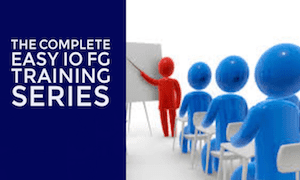 SP 800-82 Rev.2 DRAFT Guide to Industrial Control Systems (ICS) Security. 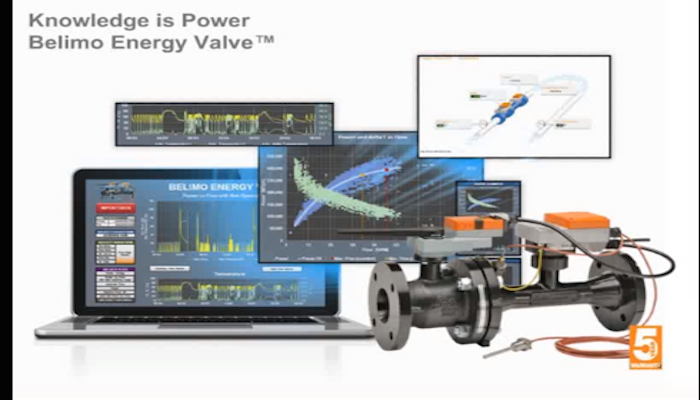 Belimo July 11, 2014 Webinar on Communicating with the Belimo Energy Valve: Belimo July 11, 2014 Webinar on Communicating with the Belimo Energy Valve with WebView, Data Analysis Tool, and BACnet. Learn how the Energy Valve standard analog signal and feedback wiring communicates its data to the Building Management System (BMS) via BACnet MS/TP or BACnet IP. The built-in web server collects up to 13 months of data that can be downloaded to external tools for further optimization. Building Integrator Summit (SBIS) at IBcon 2014: Building Context’s Therese Sullivan, the eyes and ears of Silicon Valley, wraps up her thoughts about the 2014 Realcomm/IBcon with piercing insight: Big-brand tech companies and Rock Star-caliber personalities in real estate management and data security came calling on the buildings industry at the Smart Building Integrator Summit (SBIS) on June 17th, the day before IBcon 2014 opened in Las Vegas. Their common message was that open-architected, interoperable building automation systems (BAS) are at the nucleus of the next phase of human-to-machine connectivity. The Other Robots are Coming — But the SPIN Robot (Sanborn Platform for Indoor Mapping) is Already Here!The SPIN Robot services are available NOW. Contact Sharad Oberoi and Team Sanborn for more information. 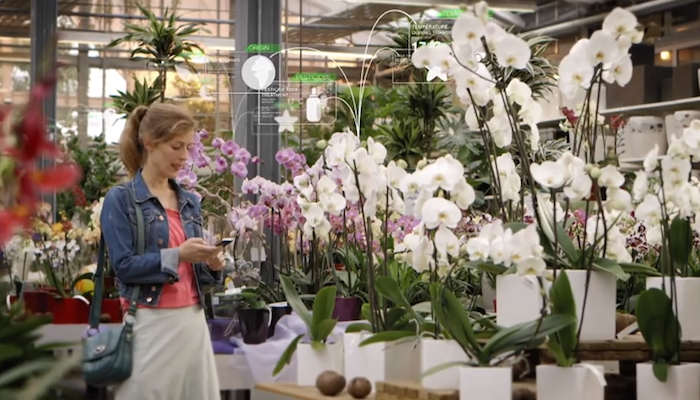 The Sanborn Platform for Indoor Mapping (SPIN) is a semi-autonomous mobile robotic platform designed exclusively for indoor mapping applications. 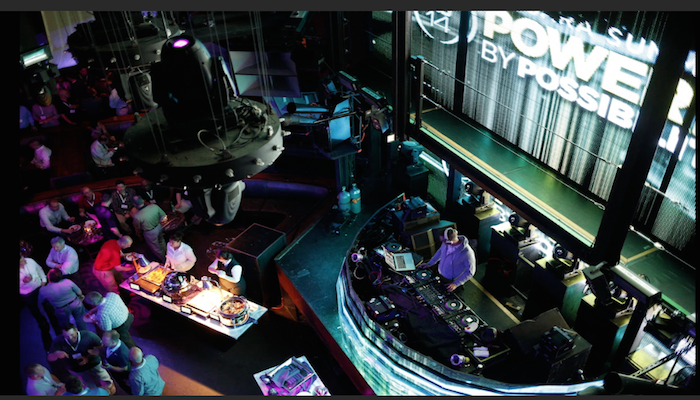 By utilizing the recent advances made in a variety of 3D technologies including laser scanning, photogrammetry and computer vision, and the state-of-the-art approaches used in robotics, SPIN is a leap forward in accurately mapping the building interiors SPIN is a compact, easy-to-operate and self-navigating system which generates pre-registered spatial data almost in real-time. Sanborn’s geospatial products, location based services, and solutions to business, engineering, government, natural resources, telecommunications, and utilities sectors. Rob Allen’s 7 Minutes in Control: The New Honeywell AX Compatibility Checker Tool. 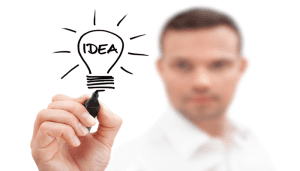 Software version management can be a challenging task. The level of challenge magnifies exponentially when the number of software varieties increases and inter-dependency exists among them. WEBs-AX Compatibility Checker is an add-on tool that helps users to discover the multiple versions of AX software components or tools. Seeing is Believing: The Internet of Things At Work: The IoT-A movie introduces us to the spectacular story of how the Internet of Things could benefit people and society in the future and how the European Lighthouse Project on the Internet of Things will “make things talk”. It provides you with a glimpse into a concept being worked on by the IoT-A project team for several years, namely the Architecture Reference Model, ARM, a dictionary for the IoT, a toolbox for developers. 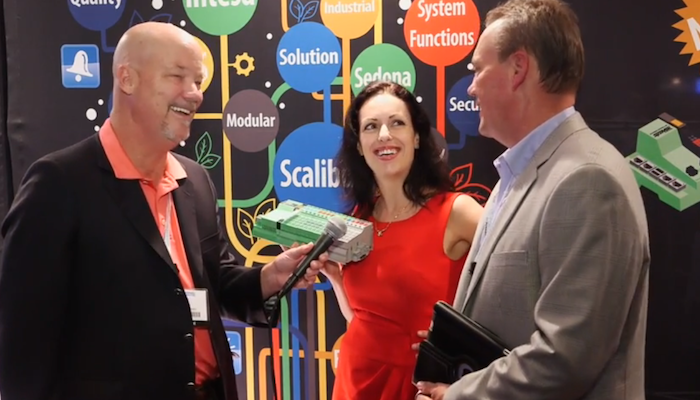 Powered by Possibilites: Video Welcome to the 2014 Niagara Summit. The power of this video lingers and it continues its vision of what the future holds. Awesome kick-off to the “Welcome to the 2014 Niagara Summit,” where the power of the Niagara Framework and Innovation met — and keep meeting. With the open internet of things and Niagara, buildings are more efficient, data centers are optimized, industrial plants are improving quality and precision, and city infrastructures are connected and smarter. Building Robotics’ Comfy is Real High Tech-High Touch — Is it the NEST-Best Thing? John Naisbitt, inventor of “Megatrends” (watch below) would have to be proud of COMFY’s High Touch solution to a challenging High Tech problem. As building management systems (BMS) continue to increase energy efficiency, the satisfaction of the building occupants could well be decreasing, because the occupants are not comfortable and they assume the technologies around them — are being used against them. Comfy provides instant high-touch by providing instant streams of warm or cool air to people while also using high-tech machine learning in the background to reduce energy use. The High Touch words “Warm my Space” or “Cool my Space” or better yet, “I’m Comfy,” replace the set points and the numeric temperature displays. <ahref=”http://traffic.libsyn.com/hvaccontroltalk/89_Episode_89__ControlTalk_Now__HVAC_and_Building_Automation_Control_News_You_Can_Use.mp3″ target=”_blank”>Click here to listen to or download the Podcast version of ControlTalk Now. The power of this video lingers and it continues its vision of what the future holds. Awesome kick-off to the “Welcome to the 2014 Niagara Summit,” where the power of the Niagara Framework and Innovation met — and keep meeting. With the open internet of things and Niagara, buildings are more efficient, data centers are optimized, industrial plants are improving quality and precision, and city infrastructures are connected and smarter. Prepare to be Powered by Possibilities! Simon Leblond, Schneider Electric’s Director of Strategy & Marketing, Buildings Division, explains to the Niagara and ControlTrends Communities — why year in and year out — Viconics is the thermostat or room comfort controller of choice that offers the lowest installed cost. The new VT8000 series is available with wireless and all the communication protocols, along with a customizable display that allows color matching decor, branding emphasis, live language changes, other features that will help pull the sale of Viconics through the interior designer and architect channels. The 2014 Niagara Summit Vendor Show featured some game-changing technologies — one of which, was Magnum Energy Solutions’ eBOX, an EnOcean to BACnet gateway for Tridium Niagara users to discover, display, and control EnOcean device points as BACnet points. Cory Vanderpool, Business Development Director at Magnum Energy Solutions explains the details. Magnum manufactures wireless and battery-less energy management products and technologies for energy, lighting, HVAC, and plug load applications, along with many other innovative solutions for Hotel and Resort Communities, University and College Campuses, Commercial and Retail Businesses, and Residential and Home Communities. For more information, contact Cory Vanderpool c.vanderpool@magnumes.com today! Welcome to this week’s ControlTalk NOW, which features interviews 2014 Niagara Summit sponsors EASYIO, SysMik, and Lynxsrping, Yardi’s strategic acquisition, Honeywell’s voice-controlled thermostat, several new product releases, SBI certification, CABA research initiatives, and more. Make sure to make your arrangements to attend the Realcomm/IBcon conference June 17-19, 2014 at the Wynn Resort, Las Vegas. Enjoy! ControlTalk Now For The week Ending May 11, 2014 V2 from Eric Stromquist on Vimeo. Choosing The Right Type Level Control: Thanks to our friends at Lesman Instruments for this excellent webinar on how to chose the correct level technology for measuring and controlling level in your industrial process. Lesman can provide you with everything from the simplest float-type mechanical switch to radar level transmitters that work in tanks obstructed by ladders, mixers, and baffles. 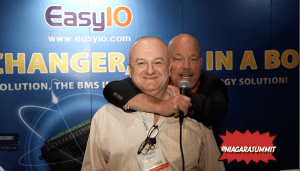 Premiere Sponsor EasyIO at the Niagara Summit:ControlTrends got chance to catch up with Mike Marston and his team at the 2014 Niagara Summit vendor showcase. EasyIO, who was one of four Niagara Summit premiere sponsors, showed us their EasyIO controllers and hinted that their formidable “Beast From The East Controller” might be getting a bigger more powerful brother in the near future. 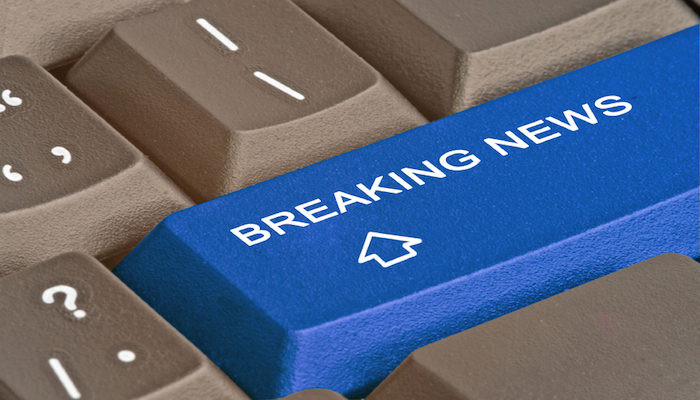 Breaking News: Yardi Acquires Energy Efficiency Software Provider Enerliance: Deal will integrate award-winning LOBOS energy consumption software with Yardi’s real estate platform. Yardi announced that it has acquired Enerliance, a leading developer of energy efficiency software. Enerliance produces the Load Based Optimization System (LOBOS), an intelligent HVAC platform that significantly reduces energy consumption in large buildings and campuses. Jim Young and Howard Berger preview what to expect at this can’t miss event. his June, people from all over the world will be coming to Las Vegas to meet at the intersection of Commercial & Corporate Real Estate, Technology, Automation and Innovation. IBcon will focus on the most current case studies and issues pertaining to smart, connected, high-performance, energy efficient, hyper-operational, financially optimized and sustainable buildings, portfolios, campuses and cities. 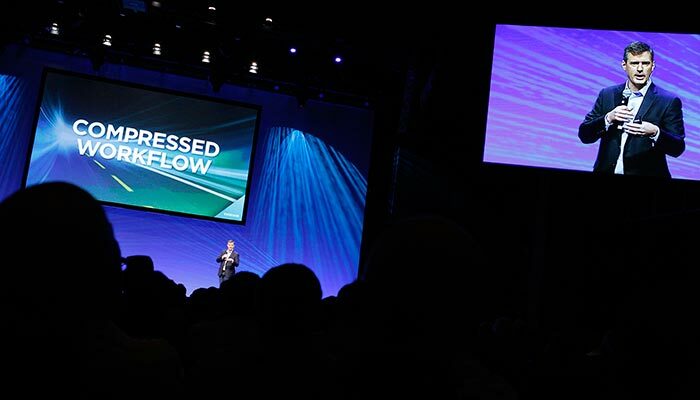 Realcomm will continue to explore innovative, efficiency driven operations and present topics such as cloud, big data, mobility, social and integrated business solutions delivered by world class speakers. Smart Building Institute: Specifying Automated Integration: Division 25 (Advanced Class). Upcoming Web Classes: Specifying Automated Integration: Division 25 (Advanced Class) May 14, 2014 – Registration ends May 12. Division 25 is within the specification group of the MasterFormat and part of the Facility Services subgroup which includes fire suppression, plumbing, heating/ventilating/air conditioning, electrical, communications and electronic safety and security. Integrated automation is clustered with all the other sections in which individual building systems may be specified. CABA Launches: “Intelligent Buildings and Big Data (IBBD)” and “Zero Net Energy Buildings: Building Automation Driving Success (NZEB)” The Continental Automated Buildings Association (CABA) Board of Directors and the Intelligent & Integrated Buildings Council (IIBC) will launch on May 8 the ‘Intelligent and Integrated Building Technologies: Market Size North America version 2 (MSNA v2). Use this link for more information on this report and how to secure one of the final Steering Committee spots. See Niagara Summit Premiere Sponsor SysMik: SysMik was one of this year’s Niagara Summit Premier Sponsors! They presented SCALIBUR: the world’s first truly modular controller operating Niagara 3.8 or Sedona on top of a powerful, scalable, industrial hardware. SCALIBUR is not just a controller – it’s a game changer. How Honeywell Sylk Makes Life Easy: Check out Honeywell Sylk, the first two-wire polarity-insensitive communications bus that’s powerful enough to allow multiple types of devices to be added to a single communication wire. 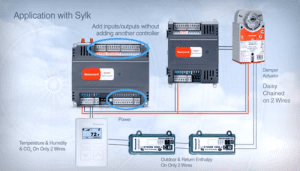 Sylk carries power and communications between Sylk enabled controllers and and sensors while freeing up inputs/outpouts (I/O) on the controller for more installation and programming flexibility. Sylk reduces installation time and costs with fewer cables and less copper wire to run back to the controller. a business, or manage an investment property or if you are simply looking for peace of mind. 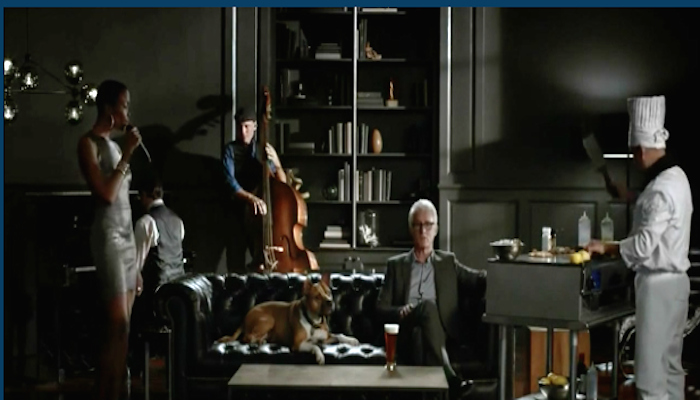 Great commercial, but does it change everything in terms of how vendors could go to market? How will this effect how products get to the marketplace? How does this affect your business? Please share your thoughts in comments. 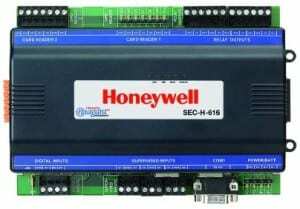 Honeywell WEBs-AX Enterprise Security Controller 201 Exchange Program. WEBs-AX Enterprise Security Controller 201 Exchange Program The SEC-H-201/U WEBs-AX Security controller was introduced in 2007. 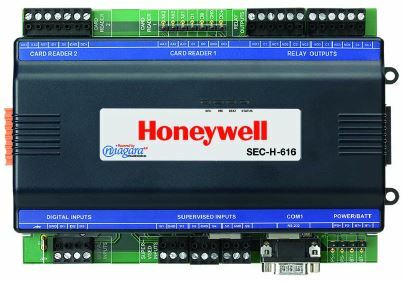 The Honeywell exchange program has been created to allow customers that purchased an SEC-H-201/U security controller the opportunity to exchange them for an SEC-H-602 security controller at a reduced price vs. purchasing a new SEC-H-602 security controller. Rocking The Niagara Summit with Lynxspring: Great fun was had at the Lynxspring booth during the 2014 Niagara Summit Vendor Showcase. 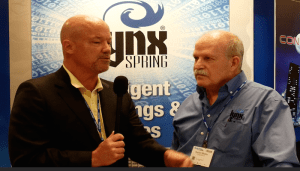 We got to spend time with Lynxspring President and CEO, Terry Swope, who shared his views about Lynxspring’s products and philosophies. <ahref=”http://traffic.libsyn.com/hvaccontroltalk/83_Episode_83__ControlTalk_Now__HVAC_and_Building_Automation_Control_News_You_Can_Use.mp3″ target=”_blank”>Click here to listen to or download the Podcast version of ControlTalk Now. 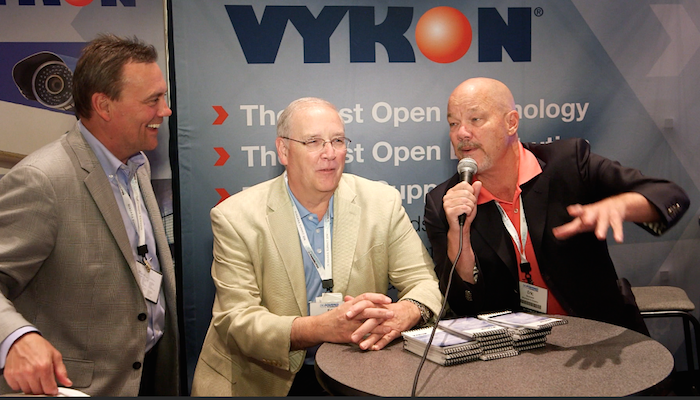 ControlTrends got chance to catch up with Mike Marston and his team at the 2014 Niagara Summit vendor showcase. Easy IO, who was one of four Niagara Summit premiere sponsors, showed us their Easy IO controllers and hinted that their formidable “Beast From The East Controller” might be getting a bigger more powerful brother in the near future. Congratulations to Mike and Easy IO, who won the coveted “DDC Controller of the Year” at both the 2012 and the 2013 ControlTrends Awards. Special thanks to EasyIO’s Mike Marston (of FG-32, Beast from the East fame) for that awesome introduction to ControlTalk NOW! This week, our Kerouac-ic trip came to end, but the changes and impacts to our industry previewed on the Road to the 2014 Niagara Summit Experience are just beginning. 2014 represents a period of time when unceasing, disruptive changes are being introduced to our industry, each posing a uniquely significant challenge. HTML5, is a game-changer that was featured by several of the next gen software, data and graphic applications providers that are heading to a market near you. The summary of the 2014 Niagara Summit is one our most informative and important ControlTalk NOW’s to date, and confirms our constant contention that our HVAC industry is full of amazing people. Please enjoy our industry at its finest! 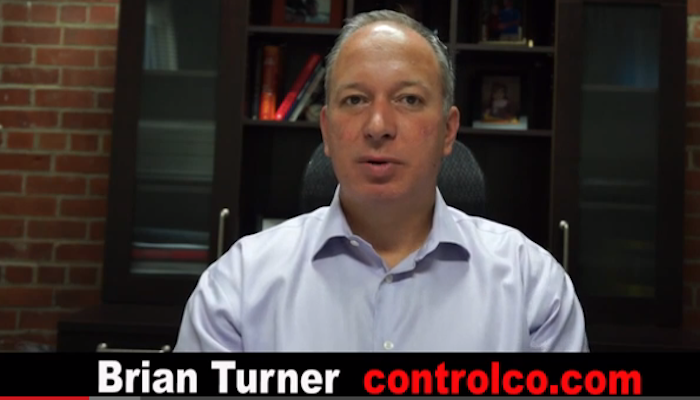 ControlTalk Now For The week Ending May 3, 2014 from Eric Stromquist on Vimeo. 2014 Niagara Summit Underway! 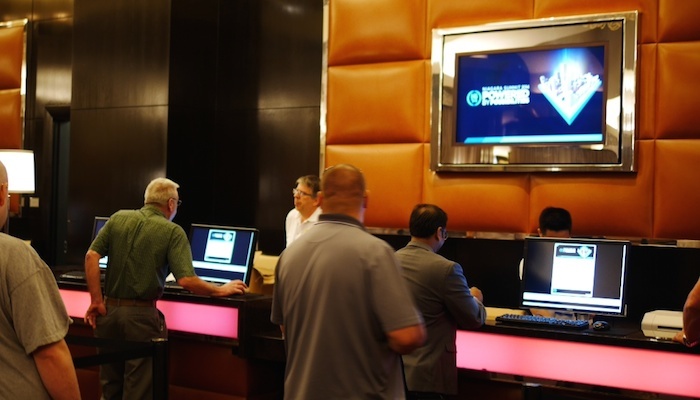 Registration on the 4th Floor:Eric was so anxious to get registered for the 2014 Niagara Summit that he didn’t even comb his hair before he went to the 4th Floor at the Cosmopolitan. A full contingent of Tridium staff are actively processing the over 1,300 attendees registrations from all points around the world. Here’s what you need to have: Your email address and a photo ID. International Contingency of Niagara Community Arrives at the 2014 Summit:ControlTrends had the pleasure of meeting a bunch of Niagara Community members arriving from across the country and from around the world. Among the early arrivals were the team from Cochrane Supply, SysMik’s Einat Shlomiuk, BASSG’s Alper Uzmezler, Magnum Energy Solutions’ Craig Opalich, Renick Brother’s Jim Jancse, and host of others. 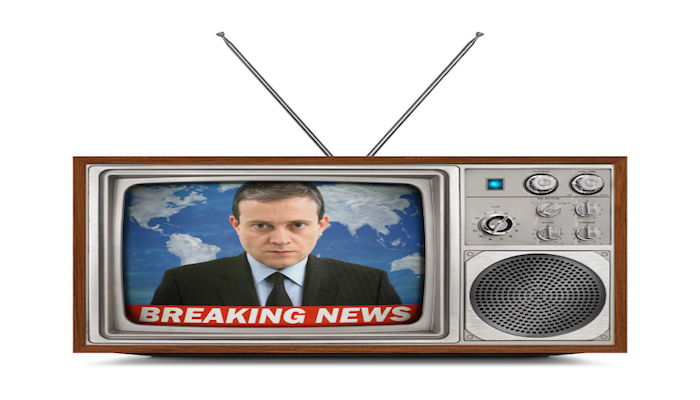 Stay tuned for ControlTrends’ next 2014 Niagara Summit Update, your eyes and ears at the Summit! Niagara Summit Rocking The Marquee Club: Where’s Waldo? Thanks to Tridium for a great time at the coolest club in Vegas, The Marquee. See how the smartest people in building automation controls roll. Waldo? He was not invited. 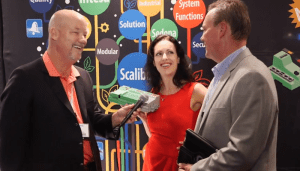 Featuring interviews with Wayne Tighe, VP of Sales, Jenny Graves, Vice President, Marketing Communications, and John Petze, SkyFoundry, and Mike Schwan, RSD. News Release: Tridium Acquires DataEye Energy Analytics Application From Controlco.Tridium, a global leader in open platforms and automation solutions, announced today that it has acquired DataEye, an energy analytics application, from Controlco, a California-based controls products and solutions provider. The DataEye application will be incorporated into Tridium’s industry-leading NiagaraAX automation platform to provide customers with data and information to improve energy efficiency. ControlTalk NOW Interview with Controlco’s Brian Turner. DataEye is the only cloud-based analytics engine native to the Niagara platform. DataEye can provide real-time, historical information on energy efficiency opportunities in Niagara users’ facilities, along with the economic impact of making improvements. Tridium expects the DataEye module to be available to the Niagara community later this year. See How the Niagara General Session Wows the Tridium Community!One word best summarizes the general session that ended in exuberant applause from the standing-room only auditorium: Awesome. The Tridium highlight reel began with Tridium’s Chief Technology Officer John Sublett’s welcome message that spoke of Tridium’s accomplishments really being the results of putting a powerful, open technology in the hands of an open, innovative, and collaborative community. Nino DiCosmo, President & General Manager, then took the stage, thanked the attendees and the Premier Sponsors: Distech Controls, EasyIO, Pacific Controls and SysMik. Nino wasted no time in delivering Tridium’s State of the Niagara Union to the large and often enthusiastic Niagara Community. Ed Merwin at the Niagara Summit Vendor Show Case: Ed Merwin is one of the most recognized and successful people in the building automation business and possesses an evangelistic style of explaining the powers of Niagara. Ed reviews the new features of Niagara 4, DatatEye, and the amazing number of new faces at the 2014 Niagara Summit. 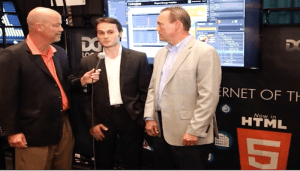 DGLogik at The 2014 Niagara Summit Vendor Showcase — DGLux5 Now Available! DGLogik’s Eugene Mazo unveiled DGLux5, one of the most exciting products released at the 2014 Niagara Summit Vendor Show. The benefits of HTML5 are extraordinary and makes using DGLux easier and faster — and the application options are limitless. Day2 @ 2014 Niagara Summit: Cyber Security Panel, Author Don Tapscott, & M2MDay 2′s General Session began by directing the Niagara Community’s focus to the serious issue of cyber security. “Security is a journey, not a destination.” PBS NewsHour Senior Correspondent Jeffery Brown moderated a formidable team of security experts. 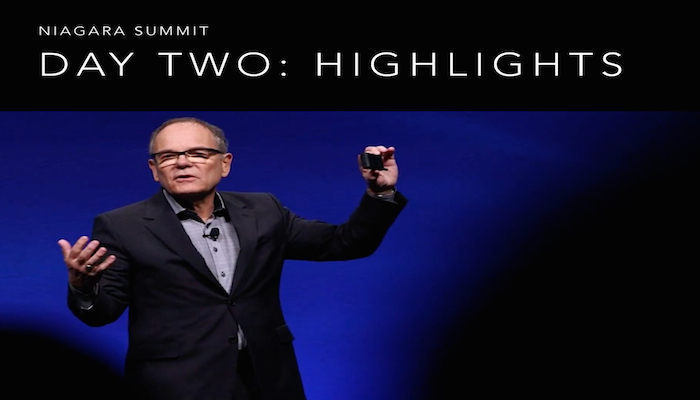 Day 2′s second speaker was the amazing Don Tapscott, Thinkers50′s 4th most influential living management thinker, Co-author of both Wikinomics and Macrowikinomics, and author of the Grown Up Digital. 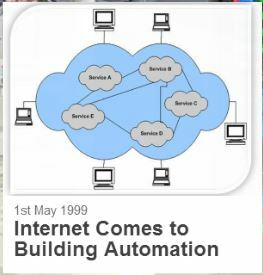 ControlTrends congratulates Ken Sinclair, who on May 1, 1999, with his first prescient post, “Internet Comes to Building Automation,’ established the automatedbuildings Collaboratory, which is truly, “a center of information without walls.” Ken, together with the ingeniously creative curator, Therese Sullivan, buildingcontext.me have delivered to the Building Automation and HVAC industries, a revitalized and significant presentation of the people, ideas, products, general knowledge, applications, and solutions that have shaped and sustained our industries for the past 15 years. Functional Devices Introduces New RIB Product! RIBMW24B-44-BC Big building automation and HVAC controls solution option for small project miss or addition: Mounts on a 4.00″ Track, this BACnet® MS/TP Network Relay Device has Four Binary Outputs (20 Amp Relay SPDT + Override) and Four Binary Inputs (Dry Contact Binary Inputs), as well as a 24 Vac/dc Power Input and Optional End of Line Resistor (EOL), which is included. WaterSense (Not so Silly) — BTW, APRIL was Official Water Month in AZ”>EPA’s Test Your WaterSense (Not so Silly) — BTW, APRIL was Official Water Month in AZ. Water is a precious resources and as summer and high temperatures approach, it’s a good idea to help raise Water Awareness (1% of the world’s water is drinkable.) 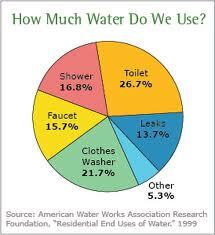 According to the EPA, 50% of the the water used for irrigating lawns and gardens is wasted! Integrating drip-irrigation, moisture sensors, and rain shut-off devices into your existing home and building automation systems is a smart and easy solution and could potentially save 11 billion gallons a year. Distech Controls at the Niagara Summit Ken and I got a chance to visit with Niagara Summit Premiere sponsor Distech Controls. After visiting the both and receiving an extensive product overview by Sam Sharma, Director of Technical Support and Training, we saw why Distech was a finalist for The Building Automation Controller of The Year at the 2013 ControlTrends Awards. 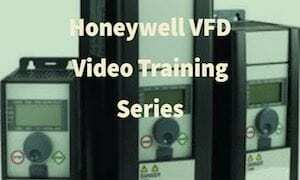 <ahref=”http://traffic.libsyn.com/hvaccontroltalk/82_Episode_82__ControlTalk_Now__HVAC_and_Building_Automation_Control_News_You_Can_Use.mp3″ target=”_blank”>Click here to listen to or download the Podcast version of ControlTalk Now. Ken and I got a chance to visit with Niagara Summit Premiere sponsor Distech Controls. After visiting the both we saw why Distech was a finalist for The Building Automation Controller of The Year at the 2013 ControlTrends Awards. Day 2’s General Session began by directing the Niagara Community’s focus to the serious issue of cyber security. “Security is a journey, not a destination.” PBS NewsHour Senior Correspondent Jeffery Brown moderated a formidable team of security experts: Marty Edwards, ICS-CERT; Fred Gordy, McKenney’s; Shane Riggio, VP IT Macerich; and Kevin Staggs, CISSP, Senior Engineering Fellow, ATL, Honeywell Automation and Control. Unfortunately, our buildings and building networks are highly vulnerable — and the bad guys are getting better. Some important takeaways: Get the cyber security conversation started; make security part of the organizational and building DNA; seriously budget for security, send people to training, and then evaluate your first experience; rotate your system around and view it as an “evil bit,” and prepare your worst case scenario answers now — so, if an attack does happen, you control the message and certainly know who is responsible to respond; regulations tend to create a culture of minimum compliance; and finally, effective cyber security requires good security citizenship — awareness and and concern from everyone in the chain at every level. 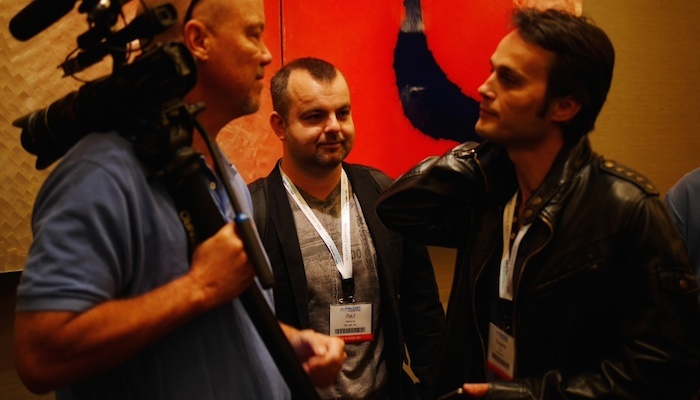 Day Two Niagara Summit Highlights from Eric Stromquist on Vimeo. Day 2’s second speaker was the amazing Don Tapscott, Thinkers50’s 4th most influential living management thinker, Co-author of both Wikinomics and Macrowikinomics, and author of the Grown Up Digital. Perhaps Tapscott’s most provocative insight was from his most recent and relative e-book entitled Radical Openness: Four Unexpected Principles for Success. We are at a turning point in history, experiencing the transformation of the physical world. So, get off the burning platform; and with great optimism, realize and accept that the future is something yet to achieve! The 3rd presentation was by Machina Research, Global advisors on M2M, the Internet of Things, and Big Data. Machina provided the results of the Niagara Community survey and IoT market intelligence and strategic emerging market insights. 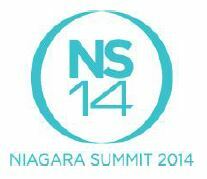 Stay tuned for more on 2014 Niagara Summit! See How the Niagara General Session Wows the Tridium Community! One word best summarizes the general session that ended in exuberant applause from the standing-room only auditorium: Awesome. The Tridium highlight reel began with Tridium’s Chief Technology Officer John Sublett’s welcome message that spoke of Tridium’s accomplishments really being the results of putting a powerful, open technology in the hands of an open, innovative, and collaborative community. And for clarification purposes, the three pillars of open are Open Connectivity, Open Extensibility, and Open Distribution, which have led to over 400,000 Niagara deployments world-wide. Nino DiCosmo, President & General Manager, then took the stage, thanked the attendees and the Premier Sponsors: Distech Controls, EasyIO, Pacific Controls and SysMik. Nino wasted no time in delivering Tridium’s State of the Niagara Union to the large and often enthusiastic Niagara Community. The trends and convergence that are changing every building automation and integration status quo are increasing, demanding newer and better responses — and with the release of Niagara 4, UX, and the Titan controllers, Tridium will meet and exceed these challenges. A few of the new and exciting developments were Tridium’s Data Center Infrastructure Management (DCIM) initiative and how the Niagara Difference will provide unprecedented visibility and management over the Data Center environment and Tridium’s purchase of DataEye, the only native Niagara analytics engine on the market — from Controlco, a long-time Tridium partner. Pranay Prakash, VP, Product Marketing, introduced by Jenny Graves, VP of Marketing, addressed Big Data, the need for a broader IoT Ecos-system, and how the strong foundation of Niagara AX 3.8 will allow for a smooth pathway to Niagara 4 and the next gen products. In conclusion, John Sublett reviewed the ecosystems built around the Niagara Framework and reminded the assembly that it is critical to remember that we are all part of larger ecosystems — and staying current with those ecosystems is critical to sustained success. And lastly, innovation is built on the latest technology and if we don’t stay current, there is a possibility that we could get stranded between technologies. Stay tuned for more ControlTrends 2014 Niagara Summit highlights.